Node.js Hosting: Amazing (And Awful) Places To Host Your Node.js App in 2019. If you want to develop with Node.js, you will need to host to do it on. This article will help you to find the best host for your needs. It can be used to build server-side web applications, and its architecture allows for massive scalability. In most conventional web server environments, requests are handled as single, discreet events: a request is made to the server, the server does something, and a response is sent back. This makes it difficult to get ongoing feedback, such as a file-upload progress bar, or any kind of push notification. The usual way these things were done was essentially a hack: by sending a series of frequent requests over and over to check on the progress of the process. 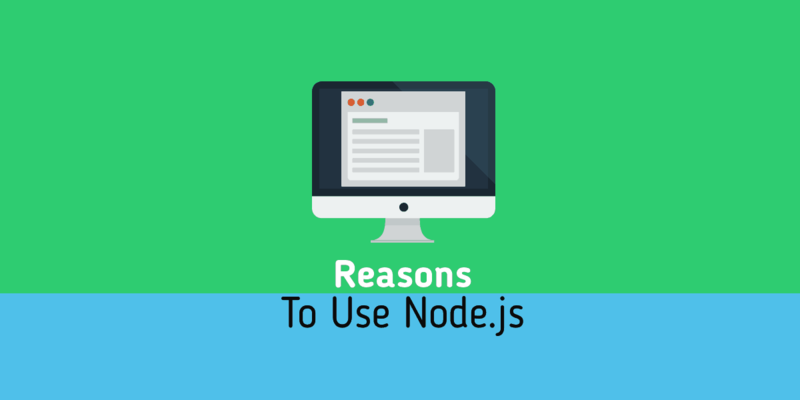 Node.js was invented to provide a different way of handling client-server I/O (input/output). 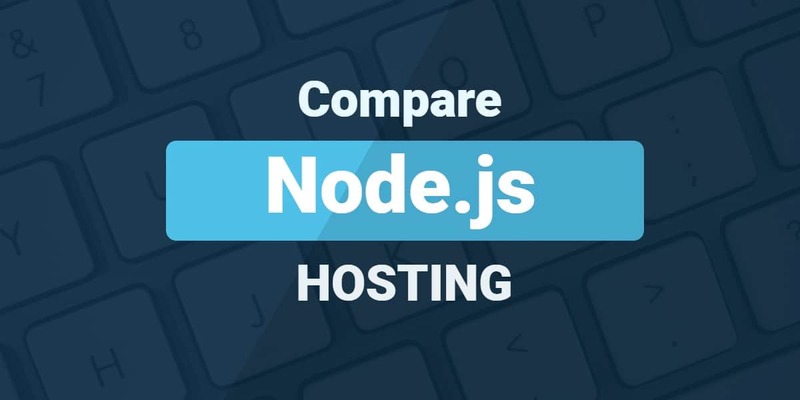 We think A2 Hosting is a solid choice for node.js compatable hosting. However, it is a fully-featured programming language and can be used in other contexts as well. The inventor of Node.js discovered that its I/O handling capabilities (or lack of them), and some of its other characteristics, made it ideal for writing an environment capable of asynchronous, event-driven I/O. Event driven architecture is a way of orchestrating the way software components interact with each other and their environment. In a conventional, non-event-driven approach, if you want one action to cause another action, you usually would have to write an explicit connection between those two actions. This had to be done inside the causal agent. In other words: if I want A to trigger B, I have to add some code to A.
Event-driven architecture abstracts this to an environment that contains triggers and listeners. You can add event triggers to any action (even if you do not know yet that it will be meaningful later) and add listeners to components (even if there is nothing yet to trigger them). Listeners wait for triggers and then launch an action. Event-driven programming is typically used in user-interface situations: The system listens for events such as mouse-clicks or keystrokes. Node.js took advantage of this built-in characteristic to create an event-driven development framework for creating applications. In Node.JS, I/O operations do not block other I/O operations, allowing multiple connections to be made simultaneously without disruption. All connections operate in a single thread, so there is no performance lag between multiple concurrent processes. Because of these characteristics, Node.js is highly useful for highly-concurrent, real-time applications, such as gaming. Given that there are many talented node.js developers, you can easily find one if you want to outsource the job. The fact that node.js is a very fast language is no secret. If you want to be an efficient coder, you need to learn to use the code that others have already created. The Node Package Manager (NPM) is the world’s largest source of open-source libraries. It makes installations a piece of cake. Often complex projects require using several different languages like C, Assembly, and PHP. Node.js is not that way. 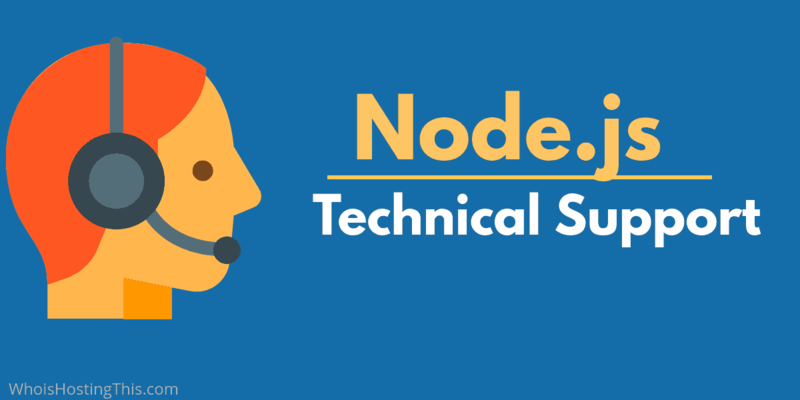 If you are going to be writing gaming or chat application, Node.js is the language for you. This is thanks to the event loop and its support for multiple, concurrent connections. Node.js is not a “fix-all” development framework. There are certainly some applications where it is not the best option. Node.js is really fast at handling I/O. Unfortunately, it is designed to do one thing at a time. As a result, it is not very efficient for heavy data computation and processing. Node.js has not yet implimented fully mature SQL implementation. So if your application is going to be very database intensive, you might want to use a different language — at least for the time being. If you are working with legacy tools such as old libraries, you may want to avoid Node.js. It has not be developed for this purpose, but this may change in the future. Node.js is still being actively developed. In some cases, this can be a problem. The problems is that many of the changes are not backwards compatible. And this can be a major issue if you don’t want to spend a lot of time maintaining old code. Node.js has not reached the complete stage of its development as a programming language. This can cause a lot of problems. Node.js hosting options are often more costly than alternatives. So if PHP or another server-side language will work for your application, it may be best to go with it. Here are the 8 features that that stand out to most people. Node.js is still relatively new, so most web hosts do not support it yet. 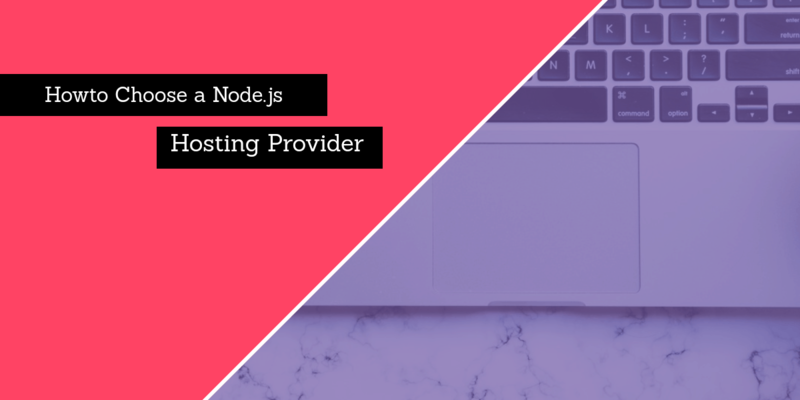 On the other hand, it is also very trendy, so there are a number of specialized web hosting providers that are well-optimized for Node.js applications. Be sure to compare hosting options in detail before committing to one. You want to look past the usual considerations when selecting a web host provider — things such as resource allocation and the inclusion of bonus features. There are other things you need to keep in mind when selecting the option that is the best for your needs. Does your host of choice have a good reputation and reliable uptime figures. Hosting company reputation and reliability. How Long Will Node.js Version Support Last? Major releases of Node.js ship every six months, with even-numbered versions shipping in April and odd-numbered versions shipping in October. Whenever an odd-numbered version ships, the most recent even-numbered version transitions to the status of Long-Term Support (LTS), which means the version gets active support for the next 18 months. Afterwards, it will get 12 months of maintenance support. Actively supported versions receive non-breaking backports of changes a couple of weeks after the current version receives them, while maintenance releases only include critical fixes and the applicable documentation updates. What this means is that the version you are using will get some type of support for the next two and a half years or so It is up to you to upgrade your applications appropriately. When it comes to web hosting, you will need your provider to update its environment as well. Obviously, this is not a problem if you have purchased a dedicated server (since you have full control over your environment), but for those with VPS or shared hosting plans, it is important to check on the hosts’ upgrade policy before signing on the dotted line. In addition to support for Node.js, you will want to see what the host offers in terms of developer tools. The specifics will vary from user to user, so it is best to take stock of what you need and then find a host that meets your requirements. Can you use Redis, a NoSQL data store? Can you easily integrate with Heroku for things like application build previews, GitHub for version control, or Jenkins for continuous integration? Does the host offer WebSocket support or offer load balancing? These are all questions you may want to ask. Essentially, you must consider whether your host treats Node.js as a first-class citizen or not. The web host gets bonus points if it has experience integrating Node.js apps with things like Git and Heroku for continuous deployment or with cloud-vendors. There are a lot of web hosting providers whose software supports Node.js, but they then state explicitly that all Node.js code and related issues are unsupported. In some cases, this may be okay, especially if you have an in-house technical team. However, if you think you might need assistance in this area, be sure to check the fine print to see if you will get support for issues that pop up as a result of your Node.js use. Perhaps you are interested in Node.js hosting but don’t yet have the skills to tackle Node.js head-on? If so, here are some great places to study Node.js online. In addition to the more popular web hosting options, we suggest you consider players like Heroku, Microsoft Azure, or Amazon Web Services when purchasing a Node.js hosting package. There is also Nodejitsu, which is the leading pure-play Node.js hosting provider. Most of these options are cloud-based providers, so by opting for one of these, you will get all the benefits typically associated with cloud-based hosting: easy scalability, redundancy, and support for failover. With the exception of Nodejitsu, such options tend to support multiple languages. If you need a “polyglot” web hosting service, this might be the way to go for you. The caveats, however, are that these tend to be developer-oriented options and may come with a steep learning curve, as well as a larger hosting bill. Cloud-based options typically cost more than more traditional hosting options. When selecting the best hosts, we stayed with and chose from a list consisting of more traditional web hosting providers. A2 Hosting: in addition to being an all-around solid host, A2 is one of the few providers offering support for Node.js (even with shared hosting plans). A2 emphasizes the developer experience, so you are likely to find that they support whatever it is you need to use for your application. If not, the A2 team encourages you to file a feature request for addition to its development queue. SiteGround is another great all-around web hosting provider, but support for Node.js is only offered on its dedicated server. This limitation means that SiteGround is not different from any other provider that offers dedicated servers. However, we still had to give a nod to SiteGround due to the fact that their web hosting offerings are competitive and are backed by quality customer service. Liquid Web offers high-end, advanced web hosting solutions that support Node.js. Like SiteGround, Liquid Web offers solid options that are backed by top-notch customer service. However, do note that most of the company’s options (both traditional and cloud-based) are managed, so if you are less technically-inclined or you want to outsource some (or all) of the management related to your web hosting while still purchasing a VPS plan or dedicated server, Liquid Web might be the best option for you. A runtime environment provides an application with all of the resources it needs to operate. For instance, in order to run on a machine an application will need access to the directories and files on the machine, hardware resources such as RAM and CPU, and software resources such as system utilities and software libraries. What is a real-time web application? A real-time web application is a website that is interactive and updated based on real-time input from one or more users. For example, an online chat system is a real-time web application. It is interactive and updated continuously based on real-time input from multiple chat users. Node.js is an ideal platform for building real-time web applications. 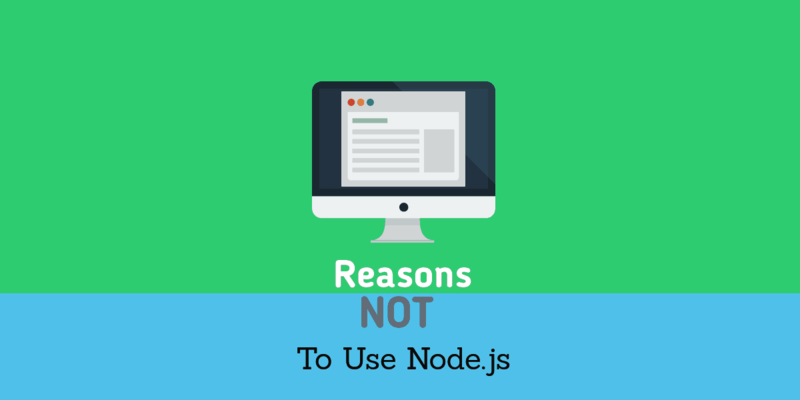 Why is Node.js a good choice for real-time web applications? Node.js processes requests using an event-driven model. What that means is that Node.js handles a single event and sends it off to perform an action, then while it’s waiting for the results of that action it can go ahead and handle additional events. That might not sound like a big deal, but in the traditional thread-based model once a server receives a request it doesn’t do anything else until that request has been completely handled. This means that Node.js can handle lots of requests far more efficiently than a thread-based model. That’s just what you want and need if you have an application that takes in input from multiple users simultaneously and adjusts the experience of every user based on the collective input of multiple users. Sometimes you’ll hear someone refer to the fact that inputs and outputs (I/O) in Node.js are non-blocking. This is basically another way of saying that Node.js is event-based. What this means is that when Node.js receives input it can process that input and produce output without blocking other inputs and outputs from being handled concurrently. Let’s look at an example. Node.js receives input A, processes it, and fires off a function. While it’s waiting on the results, input B shows up. Node.js goes ahead and processes input B while it waits on the results for input A. If the results from input A are ready before input B has finished processing, the results from input A will wait in line until Node.js is ready for them. Node.js finishes processing input B, fires off a function for input B, then grabs the results from input A and sends them off as output A back to the source that sent in input A. It is this non-blocking I/O handling that allows Node.js to handle a very large number of inputs and outputs very efficiently. Can I build a content-management system with Node.js? Yes, you can. However, there may be better options available for the task. The real power of Node.js is it’s ability to handle loads of inputs and outputs in a non-blocking fashion. A content-management application usually manages cacheable web pages, and non-blocking I/O generally isn’t important to accomplish that task. What type of database can you use with Node.js? You can use any type of database with Node.js as long as you can find a package with the necessary drivers to let Node.js interact with the database system. Thankfully, there are free packages available from NPM for most popular database systems. Node.js is free and open-source. It shouldn’t add a dollar to your hosting bill. Can I use Node.js with shared hosting? To use Node.js you’ll need shell access to the server (SSH) and the ability to set up Node.js to listen for requests received over port 80. A private environment is usually required to run Node.js unless your hosting provider explicitly supports Node.js in a shared environment. So you’ll probably want a VPS, dedicated server, or private cloud server. Finally, while Node.js can run on any operating system, most Node.js installations run on Linux.